Earn CEU credits on your own time and at your own pace with GSI on demand courses. 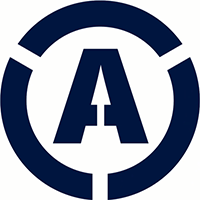 Our courses are processed through our partner Audiology Online (AO) and you must have a subscription with AO to earn credit. Once you view the webinar recording and complete the assessment, you are eligible for 0.1 CEU credits. Please note, attendees must receive 80% or better on the course assessment for credit. Audiology Online course, subscription required for CEU credit. 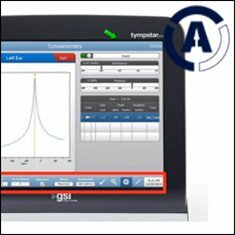 The GSI TympStar Pro sets the clinical standard in middle ear testing. Learn how to implement new tests and utilize enhancements to maximize diagnostic testing. What's New With GSI Screeners? GSI It is important to perform screening evaluations to determine the need for more testing. This can include newborn hearing screening or screenings at a pediatrician or general practice physician's office. 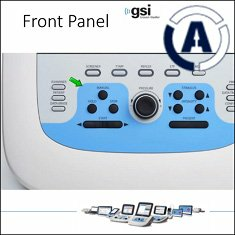 Becoming familiar with the screening options offered by GSI will allow audiologists to advise other medical professionals on appropriate equipment for hearing screening. The purpose of this course is to provide an in-depth overview of the new screening products offered by GSI, the GSI Novus and the GSI Allegro. 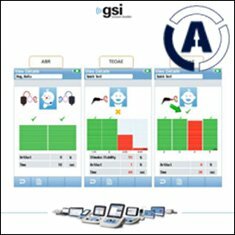 GSI AMTAS software is available in two versions, AMTAS Pro and AMTAS Flex; both provide reliable automated hearing assessments, but are used in different testing scenarios. 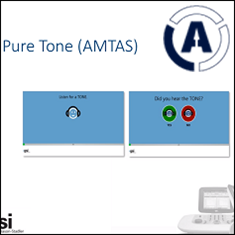 Detailed knowledge of the operation and integration of AMTAS Pro and Flex ensure maximum efficiency for audiologic testing. This webinar offers an up-to-date review of acoustic reflex measurement, an objective test procedure that provides information on auditory function from the middle ear to the brainstem. Topics include a description of acoustic reflex pathways, specific measurements such as threshold, amplitude, and latency, and a systematic summary of multiple evidence-based clinical applications. Thepurpose of this course is to provide the latest information in immittance measurements with GSI TympStar Pro. The new features and enhancements to the TympStar Pro and Configuration Application will be reviewed. 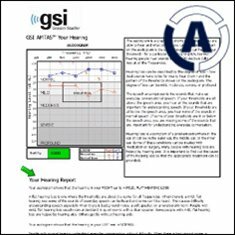 The GSI AMTAS software connected to a GSI audiometer provides a reliable way to perform an automated assessment of hearing. The self-directed hearing test allows the patient to step through a complete audiologic exam including air conduction, bone conduction and speech with masking. 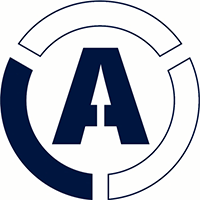 Test reliability indicators and audiogram classification are also provided as well as EMR ready report. Reliance on value added tests contributes to accurate diagnosis of hearing loss, appropriate and timely intervention, and optimal patient outcome. In this webinar, practical guidelines are offered for the application of value added tests in diagnostic audiology today. This course is designed to educate audiologists on the practical workflow for patients who require cochlear implants. From FDA and Medicare requirements to pre op and post op evaluations, audiologists will gain a clear understanding of the cochlear implant process. This presentation will provide novel insights to the application of temporal processing tests and related neuro auditory mechanisms. This information will expand the utility and interpretive acumen of those using these procedures. This course will provide an overview of pediatric assessment with air and bone conducted CE-chirps and CE-Octave Band stimuli. The stimuli will be compared to traditional click and tone burst stimuli and clinical applications will be discussed. This course will provide an overview of air- and bone-conducted CE-chirp stimuli. The stimuli will be compared to traditional click and tone burst stimuli and clinical applications will be discussed. The purpose of this session is to review the TympStar Pro Configuration Application Software. The software allows the customization of the various measurements used in middle-ear assessment for infant, pediatric and adult populations. To enhance efficiency, auto sequence protocols may also be created when a series of tests are indicated and appropriate for the patient population. 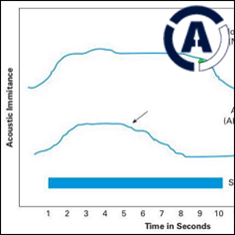 CE-Chirp Octave Band stimuli are derived from the broad band CE-Chirp stimulus to provide frequency specific assessment capabilities. CE-Chirp Octave stimuli are spectrally similar to tone burst stimuli but differ in their temporal characteristics. Currently, there is limited normative data for ABRs to CE-Chirp Octave Band Stimuli. In this course, findings will be presented from a large study with newborns and adults examining ABRs to air-conducted CE-Chirp Octave Band versus tone burst stimuli. Clinical applications will be discussed. Today's busy clinic requires fast and accurate testing, and the AudioStar Pro provides the tools to meet the demands of every hearing healthcare provider. Becoming familiar with the options of the AudioStar Pro will help to ensure critical speed and performance is achieved. The purpose of this course is to provide an in depth overview of the AudioStar Pro clinical audiometer and the configuration application. Additionally, the course will provide tips and tricks for customizing settings and protocols for maximum productivity will be reviewed. The CE-Chirp stimulus was developed to maximize the temporal synchronization of the responses from the underlying neural components. Few researchers, however, have investigated the utilization of chirp stimulus with newborns. In this course, findings will be presented from a large study with newborns examining ABRs to air and bone-conducted CE-Chirp versus click stimuli. A multitude of stimulus manipulations were investigated. Clinical applications will be discussed. Webinar recording only, no CEU credit available. Immittance measurements are a critical component of audiometric diagnoses. Diverse patient populations require variations in procedures. This session teaches audiologists how to adjust the parameters of screening and diagnostic Tympanometry, Reflex Thresholds and Reflex Decay based on clinical needs. Additionally, this session will demonstrate how to manage middle ear data and reporting concerns when using the GSI TympStar Pro. The acoustic reflex is an objective test unaffected by listener variables like age, sleep, language, motivation, and cognitive status. Requiring little patient cooperation and only a few minutes to record, the acoustic reflex is a sensitive index of dysfunction involving the middle ear, cochlea, portions of the 8th and 7th cranial nerves, and pathways within the brainstem. Most audiologists have instrumentation for recording the acoustic reflex, yet few regularly apply this diagnostically powerful tool. This E-learning seminar provides a practical and evidence-based review of acoustic reflex measurements and clinical applications. Billing codes for acoustic reflex measurement are also discussed. CE-Chirp and Bone Conduction: Can you see me now? The clinical utility of the broadband CE-Chirp and frequency specific stimuli CE-Chirp Octave Band will be discussed. Normative data using the B71 bone oscillator will be presented for both stimulus types. Participants will be able to identify Wave V and describe the advantages of what this stimuli offers. 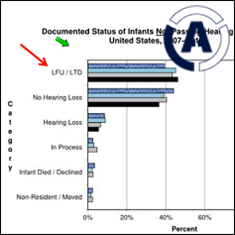 East Carolina University has provided diagnostic evaluations of infants living in the eastern part of the state via Teleaudiology since 2011. In this course, the project development including personnel, protocol, training, site preparation, and continuing evaluation/modification will be described. Data from this project will be compared to traditional state programs. Challenges with Teleaudiology services will be discussed. 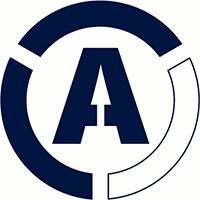 The purpose of the course is to provide new and existing GSI Audera users with an operational overview of the different evoked potential applications – ABR, DPOAE and ASSR. Not only will basic operation be addressed, but customizing the applications for more efficient operation will be discussed. The session will end with routine system maintenance discussion that preserves patient data and improves PC operation. Improvements in patient assessments can be gained by applying the multiple tests of the ABR. This course reviews the ABR applications for pediatrics and adults including acquisition parameters and troubleshooting tips. The Clinical utility of DPOAE and Electrocochleography in the pediatric and adult populations will be discussed. Recording protocols, data analysis techniques and troubleshooting tips are covered as well as virtual hands on demonstrations for both applications. The amplitude of Wave V of the ABR has been proven to be significantly increased through the use of new stimuli - CE-Chirp and CE-Chirp Octave Bands. This course will review the fundamentals and benefits of the CE-Chirp and CE-Chirp Octave Bands compared to traditional clicks and tone bursts. Clinical norms and recording protocols will also be provided.